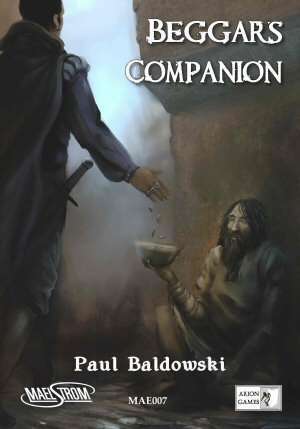 Officially released yesterday at Dragonmeet 2011, the Maelstrom Beggars companion is now available as a pdf! Full of the detritus of the Tudor streets, with new livings, herbs, rules and plot hooks, this book also contains a full adventure! Obviously perfect for any Maelstrom game, but also great for any fantasy or historical game that features beggars and other "people of the streets". We also have some copies of the first print run left from Dragonmeet, email admin@arion-games.com if you are interested. Currently 13th on the top 100 list at RPGNow!